Switzerland’s alpine peaks glisten like a magnificent tiara on top of the European continent. On this tour I opened my treasure map to explore some of the gems lying within Europe’s little jewel box: culinary destinations, vineyards, luxury hotels, pristine lakes, and urban treasures of preserved medieval neighborhoods, galleries, and traditional festivals. But, most of all, I experienced the riches of unparalleled natural beauty that has inspired poets, philosophers, writers, and artists for centuries. Zurich and Geneva were recently listed on Mercer’s Quality of Living Survey as the second and third most livable cities in the world (behind Vienna). 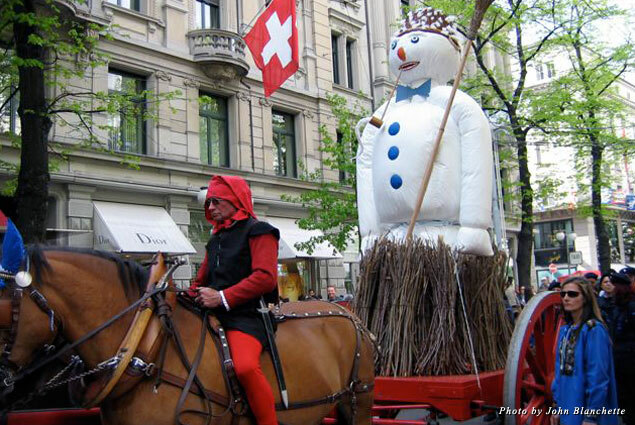 I arrived in Zurich the weekend of the spring festival (Sechseläuten), during which I discovered it’s not a good time to be a snowman (known as “The Böögg”). Hundreds of bands, guild members on horseback, animals of all sorts, and children and adults clad in period costumes parade the unfortunate 15-foot snowman through the streets all day, before entering the City Hall park, placing the creature atop a 30-foot wooden pyre, and lighting him on fire at exactly 6 p.m.
Then, everyone counts the minutes until he is completely consumed by fire and his head falls off. The quicker he melts, the better the summer will be. 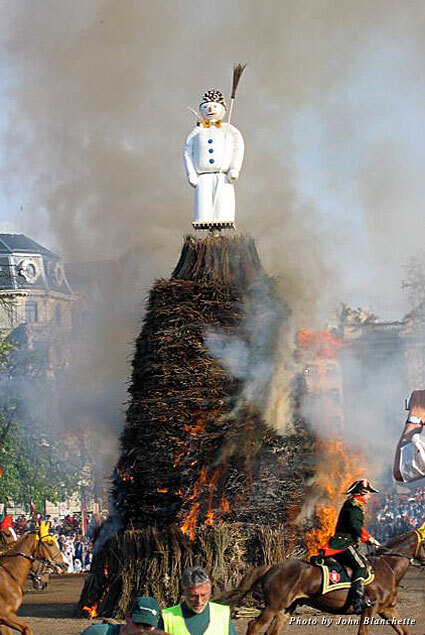 This year, it took a mere 12 minutes for the decapitation, and the crowds lost their heads cheering. The quick meltdown bodes well for a long, pleasant summer. 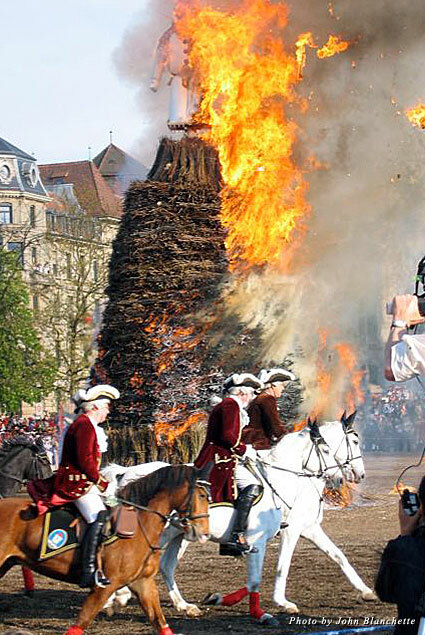 People cooked sausages in the ashes of the pyre all evening, and it was a joyous night of partying and parading bands throughout Zurich. 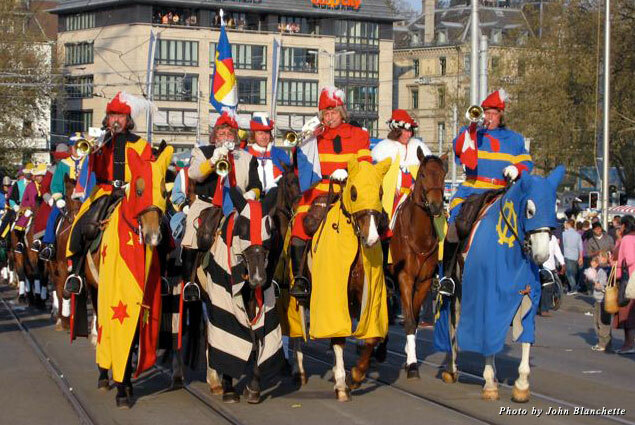 I dined that day at the medieval linen hat maker’s guildhall, Zunfthaus zur Waag, with 200 hat-toting members. Zurich’s Old Town stretches along both sides of the Limmat River, which flows from the lake. The car-free cobblestone streets are a joy to explore, and friendly revelers, bars, and restaurants present themselves at every turn. While in Zurich, don’t miss the Chagall windows in the Fraumuenster, and take a boat ride on the river or around Lake Zurich for a true sense of the area. This is Switzerland’s banking Mecca, with more than 200 institutions and a shopper’s paradise. Look for the Bahnhofstrasse for the best stores. The train station has lots of bargain hunting and 2,000 trains arriving and departing every day. Do yourself a favor and purchase a Swiss Pass before you go. This pass allows you to travel on all trains, buses, most boats, and trams and gain free entry to hundreds of museums and galleries. It’s a lot cheaper than renting an automobile (eight days for $360), especially with fuel costs at $6 a gallon. 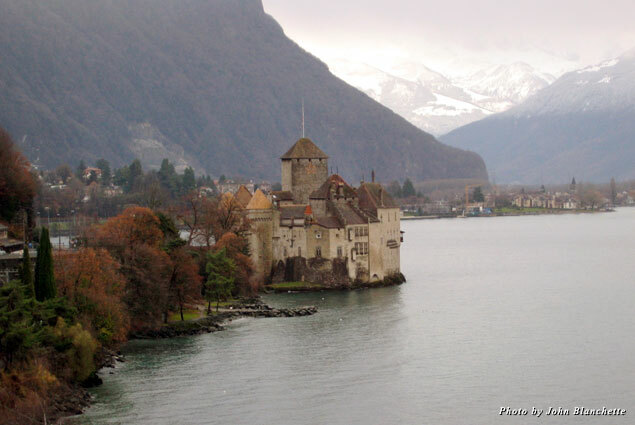 I took a two-hour train ride south from Zurich to the intellectual city of Lausanne, which climbs above Lake Geneva. Because of the hills, it is nicknamed the San Francisco of Switzerland. This is where many writers, philosophers, and artists have lived. T.S. Eliot composed “The Wasteland” here, Hemingway and Graham Green explored its narrow streets, and Dostoyevsky came to escape the Russian winter. Lenin plotted his return while living in Zurich. Look for the Junod’s Horlogers & Joailliers store and watch museum, especially if you’re in need of a new timepiece. 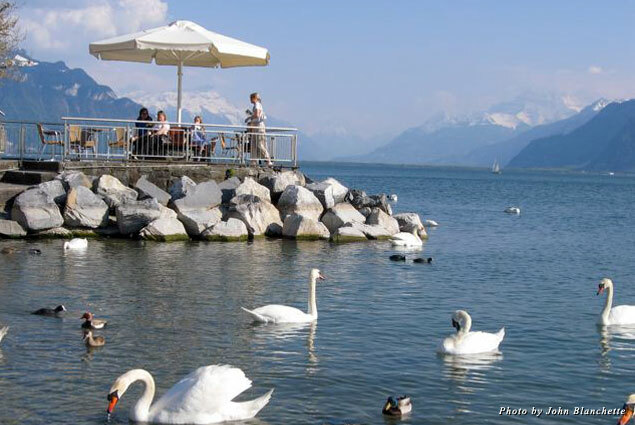 The Lake Geneva town of Montreux is a short distance from Lausanne and can be visited by bus or paddleboat; the latter steams along the lake in double deck splendor. The views are magnificent as you look across to the French Alps. Switzerland became a destination for the Romantic poets and artists have embraced the country ever since. James Joyce wrote “Ulysses” in Zurich and is buried in the cemetery next to the city zoo. Other residents included Thomas Mann, Henry James, Voltaire, Dickens, Alfred Nobel, Stravinsky, and Vladimir Nabokov. 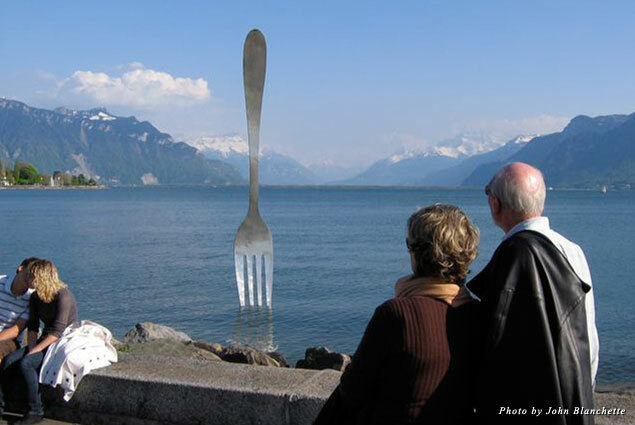 West of Montreux is Vevey, where Charlie Chaplain called home and milk chocolate was created. 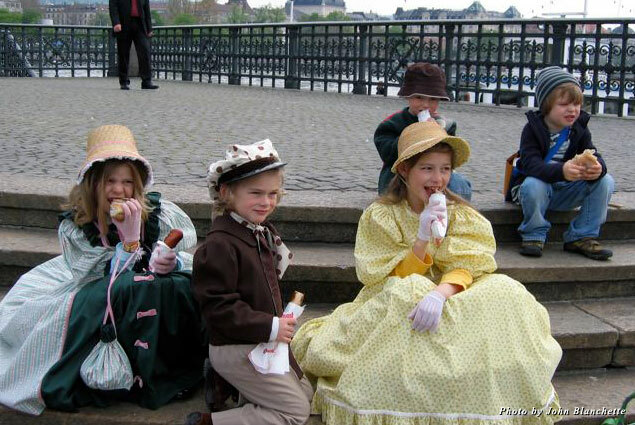 The two have been married by chocolate shop Confiserie Poyet, which does chocolate figures of “the little tramp” and his shoes. This is also the home of two-star Michelin chef Dennis Martin and molecular gastronomy, for those who like a little chemistry with their food. Chef Martin will astonish you. 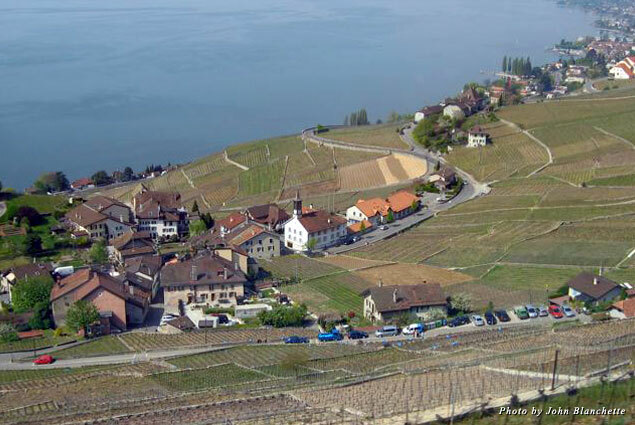 Farther down Lake Geneva is one of my favorite regions, the vineyards of Lavaux. The Chasselas grape makes a delicious white wine, especially those coming form the Chardonne area. You might never get to taste it unless you visit Switzerland as the region export only one percent of its wine. In Grandvaux, you can sample the area wines at J&M Dizerens. The central Swiss town of Basel is famous for its art scene, and this year it’s really special: “Between Heaven and Earth, the Landscapes” is an exhibit of 70 paintings by Van Gogh, gathered from around the world. It offers a view of the artist’s soul close up. You can examine his famous brush strokes from just feet away. I suggested to the curator they ought to be wary of razor-wielding maniacs, but it fell on deaf ears. The exhibit concentrates on the last few years of Van Gogh’s life, including five paintings done in July 1890, the month he committed suicide, at age 37. You don’t need a Swiss bank account to enjoy a luxury tour through Switzerland. You will pay a little more to stay at the best hotels, dine at the greatest restaurants, and luxuriate in the internationally recognized spas, but by spending a little more you’ll collect treasures to last a lifetime. 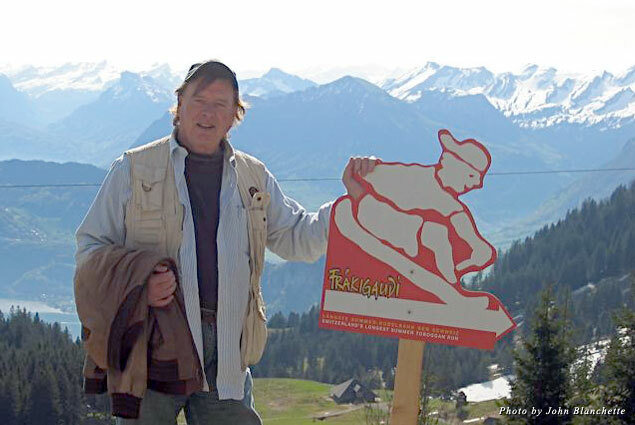 I indulged and will never forget the experience, especially Switzerland’s free-of-charge natural beauty. Priceless. In Zurich I stayed at the Baur au Lac, surrounded by its landscaped garden park on the lakeshore. One of the world’s great hotels, guests have included Wagner and Elton John. It’s restaurants Pavillon and Rive Gauche serve seasonal haute cuisine. Zurich is an international city. One night I dined at the best Thai restaurant, Ah-Hua, located in the city’s red light zone, Area 4, which made for an interesting after-dinner stroll. Traditional Swiss foods can be found in a number of restaurants quartered in the Old Town. One of the best is Kronenhalle, a famous haunt of expatriate writers and artists, and the walls are full of artwork traded for meals. Chagall must have eaten well here; his paintings are all over the walls. James Joyce regularly got the corner table, and Giacometti, Picasso, and Miro are among the artists displayed. In Lausanne I stayed at the famous Beau-Rivage Hotel, where Diana Ross and Phil Collins had their weddings. I had the spa treatment, which was a lot less expensive, then ate at Anne-Sophie Pic’s chic new restaurant. She is the only three-star female Michelin chef. A lighter option is the sushi bar Miyako or try Le Nomade in town. In wine country we dined on lake perch and frites overlooking the vineyards at Le Raisin in St. Saphorin. In Basel, the Trois Rois Hotel sits on the Rhine. The city of Lucerne horseshoes one end of the lake. I stayed downtown at the modern Astoria Hotel, which has the happening Pravda dance club in the penthouse. Bam Bou, a short walk from the hotel, is a modern Asian-fusion restaurant with a creative young chef. Just outside of town is the romantic Art Deco Montana Hotel. Reached by funicular, it offers a grand view of Lake Lucerne while you dine in elegance, serenaded by a live piano and violin duo. You can take the cogwheel railway or the gondola to the top of Mount Pilatus and then hike to more than 7,000 feet for spectacular, 360-degree views of 73 Alpine peaks and Lake Lucerne below. The air is thin so watch your wine consumption at the inn on top of the mountain or you might not be able to count all the peaks. Highly recommended is the toboggan run down the mountain. Back in town I boarded the paddle steamer bound for the resort town of Weggis, which has a restaurant featuring the wines of California. It also has a spa and heated vanishing pool at the Relais & Châteaux Park Hotel Weggis and rooms with wide windows that offer the best view of any hotel on my tour. I had dinner at the Michelin-starred Annex restaurant in the hotel, which has more than 2,000 wines in its cellar, and lunch at the cleverly decorated Post Hotel Weggis in the center of town. I reached Switzerland on the new A330–300 Airbus, making only its second flight. The new plane has revolutionary seating in business class that reclines flat and features adjustable air pillow seats, a pleasant way to arrive when seeking the good life in Switzerland. 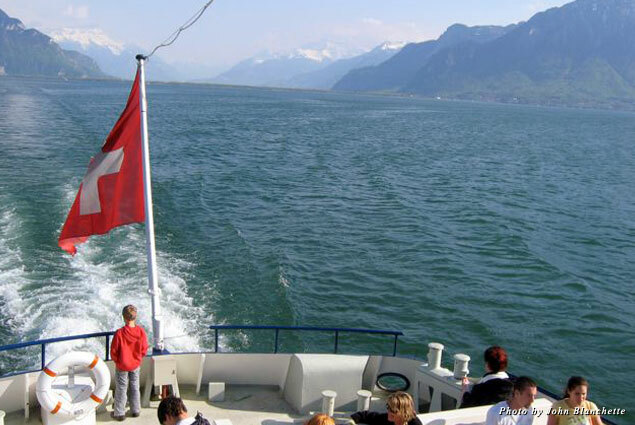 Switzerland Tourism provides comprehensive brochures about festivals, local museums, events, restaurants, housing in all price ranges, maps, and guides to all regions. I choose the treasure map.